The ITA level indicators offers a reliable, accident-free and maintenance-free usage through a simple and break-resistant construction at a maximum process pressure of 320 bar and a temperature range from -50 °C through 400 °C. The fluid level is indicated directly with a separation of the measurement and indication area. The magnetic transfer of the fluid level from the tank to the indicator is continuous and vibration- resistant, even in the case of fast changing levels. 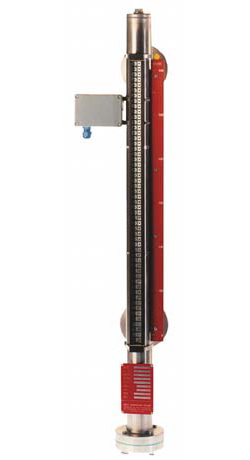 Level Gauge T1SThe ITA-T1S Liquid Level Transmitters, vertically mounted in the tank and cable-connected (3-wire) to a remote receiver operates on the float principle. A float guided on a non-magnetic tube follows the level of the liquid surface, thereby actuating the reed switches located inside the tube by means of a built-in magnet system. The ITA T1R is a multi float ball Level Switch. The total of 6 Switch Points for media up to 100°C and 0,5 kg/dm³ can be combined in one instrument. 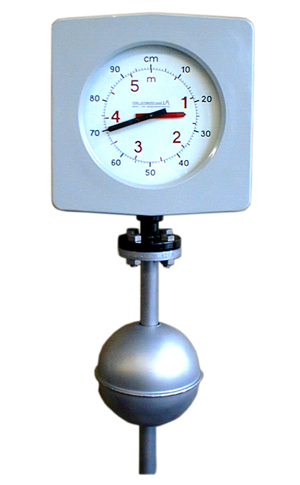 The Maglink is a mechanically geared tank level gauge, where a magnet, connected to the drive cable, follows the float. Level is visualized by an analogue, at eye level clock without external power supply. 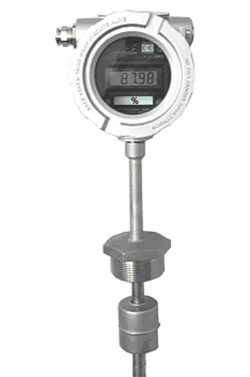 This guarantees a simple, reliable measurement, that requires no calibration. Remote electronic indicators or alarm switches can be connected. The Maglink Tank Level Gauge is available in 3 basic versions, designed for ATEX and German Lloyd Certified environments.